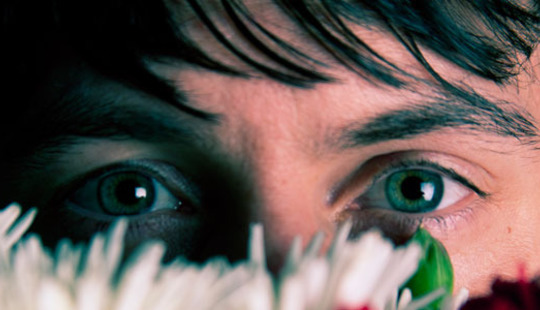 Both solo and as part of Animal Collective, Noah Lennox’s songs as Panda Bear come cloaked in swathes of reverb, amid a haze of implied memory and dream. His last album Person Pitch was an unexpected hit both amongst the indie community and far wider afield, attracting adoration from many people who felt his songs natural successors to Brian Wilson’s sun-bleached harmonic pop. Its centrepiece, ‘Bros’, was particularly striking, its twelve-minute sprawl the sound of a short, sharp pop song being stretched out almost to total dissolution. Like the music of Philip Jeck, who extends single moments out to infinity on half-broken turntables, the previously ignored regions between recognisable pieces of song revealed new and hithero unnoticed elements. Along with the rest of the album, it declared that the spaces within a song, the momentary pauses between notes, were as important as the song itself. Since its release in 2007, the essence of Person Pitch – and of Animal Collective’s last record, the gorgeous Merriweather Post Pavilion - has been imitated and diluted a thousand times, essentially spawning an entire post-MPP subgenre. Admittedly, chillwave also took a great deal of inspiration from the weirdo lo-fi sounds released on labels like Not Not Fun and Olde English Spelling Bee, as well as a hefty slice from Ariel Pink. But it’s hard to imagine it could have made the waves it did in wider consciousness were it not for Person Pitch paving the road and opening ears. It’s interesting to note, though, that nothing from the (mostly insipid) chillwave explosion of last year even came close to matching its careful balance of pop and non-pop. Lennox’s new album, Tomboy, is out this month, having been preceded by several singles on Kompakt (along with an excellent Actress remix of ‘Surfer’s Hymn’, which re-interprets the song for a dancefloor without sacrificing its essence). In contrast to Person Pitch, it’s a far more concise and easily accessible listen, its songs shorter and Lennox’s voice further creeping into the foreground. It retains its predecessor’s densely layered grandeur though, and the same intense textural focus. DiS caught up with Lennox to chat about its inception, his influences and wrestling with the whims of music technology. Rory Gibb (DiS): It’s been quite a while since the last record – when did this one come about, how did you put it together, when did you decide you were going to make it? 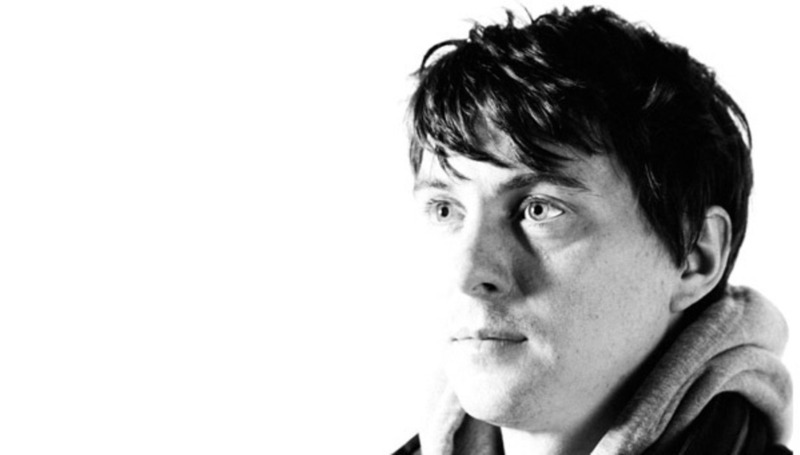 Noah Lennox (Panda Bear): I started thinking about it as soon as I was finished the last one. Right after I finished the last one we started doing Animal Collective stuff though, so it was quite hard to really get the work underway in the beginning. For the first year or so I was thinking about stuff in really loose terms, thinking about what equipment I wanted to use, the set-up, and just the overall vibe of the thing. It wasn’t until the last probably year and a half that I started to actually write the songs and put things together. I knew I wanted to do something different, so changing the gear set-up was the first order of business, and figuring out what I actually wanted to play. That took a while. I wanted to do something more direct and upfront, because I felt like the Person Pitch songs were floating in space a little bit, and really took their time getting from point A to point B. So I wanted to do a bunch of short songs - I wanted it to be something that hit you in the face repeatedly, and hopefully not in a bad way! That makes sense, because I feel as though Tomboy is a far more concise record. I was going to ask whether that was a conscious decision but I guess it obviously was. Absolutely. Even in terms of the way I wanted to set up the mixes of each song; I kept thinking about this triangle or pyramid of sound, where the vocals were at the top. I really wanted the singing to be a more prominent feature of the songs this time round, rather than being something mixed in amongst all the other sounds. I wanted there to be a triangle with the voice at the top, and some sort of guitar element – even though most of the time it sounds more like a synthesiser, some synthetic thing – then the drums and the rhythm on the other side. I wanted the focus of all the songs, sonically speaking, to be a simple triangle sort of deal. Is it mostly guitar on the record then? Most of it, yeah. The ‘Surfers Hymn’ sound is a sequenced thing, although I inputted the notes via a guitar with a midi set-up, but it’s an arpeggiated thing. The ‘Scheherezade’ stuff is a piano sample. I think every other song is guitar. So when you were building Person Pitch, was that quite a different approach? Yes. Person Pitch was always about trying to find little snippets of sound and mix them together to create new repetitions from those bits of sound. Naturally, doing things that way forces all the songs to be drone songs, in a way, at least from a melodic point of view - you can’t get too many chord changes in those few seconds [of sample]. Another thing I really wanted to do – and part of the reason I moved to writing songs on a guitar – was to have the melodic freedom to go all over the place a little more. So was there anything in particular that made you want to move away from droney songs, or was it just literally interest in exploring a new set of sounds? I’d say that every time that I or the band does something, I feel like we get a little restless or a little bored just doing one thing. It’s pretty common for us to move around and change the way we write songs. It’s just fun to try to put yourself in a new place, or try to do something that’s at least a little bit different for you. I feel like that yields more interesting results most of the time. That’s certainly something you can pick up from Animal Collective, the shift almost album-by-album, different approaches, different ideas. There are downsides to that too. I definitely feel like we can attract people to particular sounds, and then when we switch around it can be annoying for the listener. But I hope that people can follow us where we’re going. I feel like your new one’s quite a lot more accessible than Person Pitch though, it feels easier to get to know the songs. Even though I wanted to do odd forms of songs, I feel like the songs themselves are far more obvious this time round. Part of that’s to do with the speed the song comes across, it’s not like you have to wait twelve minutes as the song goes from one part to the next, so it’s easier to digest in that way. But also the mix helps. Having the principal elements of the song upfront helps people to understand what’s going on a little bit more. Do you think the more upfront or more obviously poppy stuff you’ve done with Animal Collective more recently feeds into your own music? I think so. I feel like the stuff I do with AC and the stuff I do on my own are all part of the same creative thrust, or creative wave. So one thing definitely leaks into the next, or one thing inspires the next thing. They’re all connected in some way. You had a fair amount of exposure for the last Animal Collective album - do you think that’s affected the way you work personally, and with the band? There’s obviously far more public attention on you. Yes. With the band it’s less so, I think because I have these buffers in the other members of the band, and with us all being friends we can keep ourselves away from pressure or feeling like we need to do something. It’s easier to get those weird mental pressures out of your mind. But definitely when doing my own stuff – I couldn’t say it affected, or at least I hope not, the decisions I made with the record and the music, but it was definitely on my mind. The last one did a lot better than I thought it was going to, so in a way I just wanted to make sure I was rewarding that interest somehow, or making it feel like it was worthwhile the first time around. What interests me about a lot of your solo stuff is that I feel there’s a certain emphasis on texture in your music which to me sounds linked to more electronic, dance music sounds. Is that something that’s influenced you quite a lot? I feel like the biggest influence from electronic or dance music is mostly in the repetition of things. In terms of singing, I’m really drawn to singing lines over and over again in a more trance-y way. I definitely feel that’s a direct inspiration from dance music, or techno, or things that feature trancelike repetition. Signing with Kompakt for the singles seemed to point in that direction. That was a dream come true, in a way, there are so many records that came out on Kompakt I was really into - the first couple of Pop Ambient compilations, a lot of the Wolfgang Voigt stuff, the GAS records. It was one of those things that shapes the way you think about music a bit. So getting to put a record out on that label was a big thing for me. As an extension of that, I thought getting Actress to remix your single (streaming here) was an interesting and appropriate choice – was that your choice, and was there a particular reason you chose him? Yeah, that was mine. First of all, I just really like the records he’s put out. But the reason it really made sense to me is that he makes electronic dance music, but there’s something really human about the way he produces things. There’s an inexact feeling to what he’s doing that I really like, it lends a natural and organic quality to his music which I think is really great. And because I’m not super great with technology, I develop really basic ways to work machines and computer software, I’m not really a master of it by any stretch of the imagination. I feel like that forces my music to have that weird, crude quality to it as well. It was that inexactness that I thought linked our music in a way. There’s a twelve-minute version which was the first version he did, that’s really awesome too, and I’m hoping we can put that out somewhere else. For the single we could only fit a little chunk of it, but he was happy to do an edit of it, which was good. I like the adventurous spirit of his music. ?? So not necessarily finding it that easy with technology, do you think you’re more comfortable writing music acoustically? Maybe it comes more naturally to me, but I’m really into trying to figure out my own ways of interacting with this stuff. With the sampler and the module I used for Tomboy, after a while you feel like you develop a relationship with the thing. It’s weird to say, but they become like your friends in an odd way. You develop an understanding of each other in a way I think is really cool. And I suppose at that point you can get it to do what you want it to, even if it’s in a roundabout way. But it also gets you to do what it wants you to. I had an idea for how I wanted to do a lot of the Tomboy songs to sound, but I couldn’t do it in exactly the way I wanted to, because of the limitations of the machine, or the limitations of my understanding of the machine. You kind of meet halfway, you think ‘Well, I can’t do it that way, but it seems like you’re letting me do this kind of thing…’ You create this thing that’s partly yours and partly the machine’s. I haven’t seen you do your stuff live before, but it’s quite densely layered with a lot going on. How easy is that to translate to the live settting? The live versions are probably about 20% of the recorded versions, really stripped down versions. I only have so many hands! I do the guitar part and I’d usually have the drums sequenced. Essentially what I did for the recording was play the live version and record that, then build upon it. So live I take out a lot of the supporting sounds for the song, just strip it back to guitar and drums. Is there something that particularly appeals to you about layering sounds up that much on record? It’s more about creating an atmosphere or a sound that feels finished, or feels like it takes my attention. I don’t feel the need to throw a bunch of stuff on top just for the sake of it, it’s more about getting my mind to a place where I’m not really thinking about anything else when I’m listening to the song. Usually the way I make songs is by listening to this thing over and over again, gradually putting little pieces in, sounds here and there, and tweaking them until eventually I reach a listening point where I can close my eyes and the song will pass without me really thinking about anything. That point where I’m not thinking that a specific part is weak, and distracts me because it doesn’t sound so good. The lyrics are usually the second part of the process. At least with these songs I would try to find the rhythm and guitar sounds and the loose structure of the song. Then I would sing a melody over that, then try to find words that would fit that melody. Do you think that mood of your music dictates what it’s about? A little bit. Even before I’d written any music I knew I wanted to write songs about a couple of things, and some music parts wouldn’t fit with some of those. So there is a bit of having to match things up. At least half the lyrics were written after having written the songs. Do you think fatherhood’s been an inspiration in terms of lyrics? Definitely. Less so on the last album, but big time on this one. Most of the things I’m thinking about or talking about on the record are summed up in the song ‘Tomboy’, as in everything being about my work life, my home life, and the way those two things interact – work both against and with each other. That’s the mission statement for the album in a way, lyrically all the songs are involved in that relationship somehow. Some people are good at telling stories, but I never thought I was any good at that, so I tend to write songs about whatever’s on my mind. You’re curating ATP in May with the rest of Animal Collective – you must be pretty excited about that. Absolutely. We all feel lucky to be able to create this festival with all the stuff we really like. Imagine creating your own festival with all your own bands - how psyched you’d be. The downside is that you can’t fit everyone in you want! In between the four of us, there are definitely things we all like, but there are things each like that some of the others don’t, so it’s trying to get everyone in there and compromise. But we’re all super psyched. And finally, what’s the plan now that the album’s coming out? Do you have any plans to tour? With Animal Collective, from January up until about a week ago, we’ve been working on new songs for the shows we’ve got coming up. There’ll be a little bit of Animal Collective recording, nothing too extensive. With Panda Bear I haven’t fully decided how to go about things, it’s a bit dependent on the AC schedule. I don’t mean that in a bad way, I feel lucky to even be able to play music in the first place, so having the problem of balancing between too bands is hardly too much of a problem!